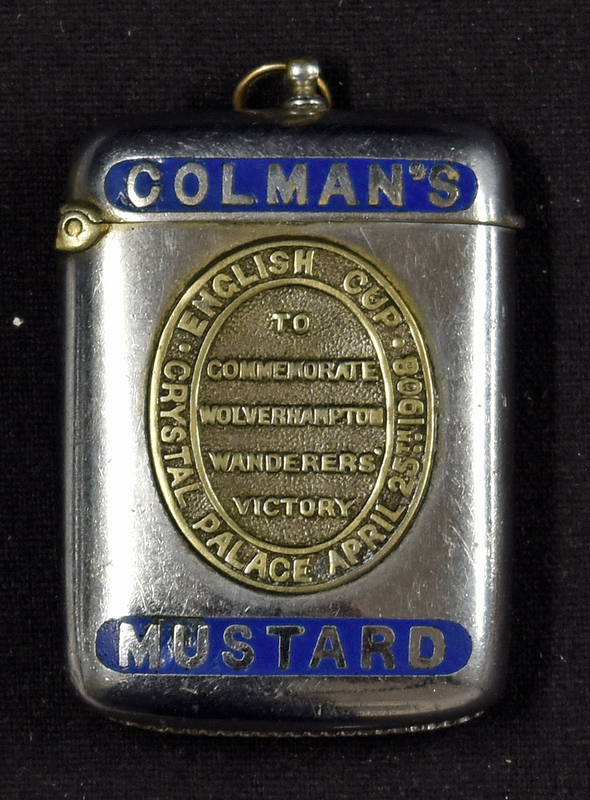 1908 Colman’s Mustard commemorative ornate vesta case metallic silver with raised lettering to read ‘To commemorate Wolverhampton Wanderers Victory’ and to the oval shaped surround ‘English Cup Crystal Palace April 25th 1908’. Comes complete with the original back pouch with drawback cord. Superb historic item.